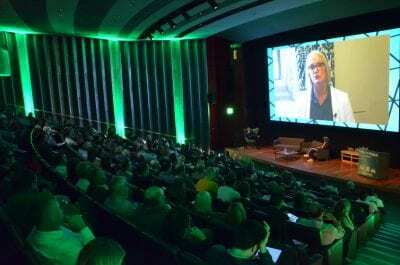 The Minister’s comments came via a video message at Drive to Digital 2018: The Future of Radio, a major radio industry conference sponsored by Arqiva, which was held at the British Museum in London, attended by 300 senior executives representing radio broadcasters, radio manufacturers, car manufacturers and retailers. The message was welcomed by broadcasters and the supply chain, and in a conference panel, senior executives from the UK’s leading radio broadcasters, BBC, Global and Bauer, said that they are fully committed to delivering radio’s digital future and looked forward to working closely with the Government. Speaking on behalf of the Sound Digital consortium (Bauer Media, Wireless and Arqiva), Arqiva’s Laurie Patten announced that 19 new transmitters, which will increase coverage of the UK’s second commercial DAB network to 83% of the population from 77%, will be switched on in the coming weeks. This means that almost 4 million more listeners in areas such as Kent, East Anglia and South West England, will be able to listen to Sound Digital’s 19 stations, including Virgin Radio, Planet Rock and Absolute 80s, on DAB digital radio for the first time. The conference culminated with former Digital Minister, the Rt Hon Ed Vaizey MP, taking to the stage to present awards to the nine Digital Radio Hall of Fame inductees for their outstanding contribution to digital radio progress across the past 20 years – Dame Jenny Abramsky, former BBC; Grae Allan, Bauer Media; Ralph Bernard CBE, former GWR and GCap Media; Michael Hill, Radioplayer; Quentin Howard, former Digital One; John Kempner, former John Lewis; Rashid Mustapha, Ofcom; Ian O’Neill OBE, DCMS; and Sir Hossein Yassaie, Pure.